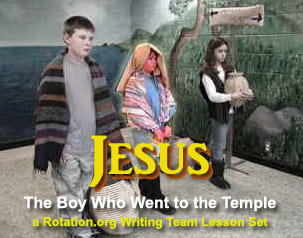 In addition to these public lesson and ideas topics below, supporting members can view the Writing Team's lesson set, "Jesus, the boy who went to the Temple." 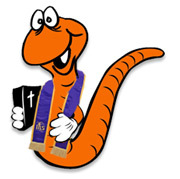 Its lesson summaries and Bible background are open to all. Some older posts have been moved in here from their original location. Doing "any old carpentry project" without considering how the project teaches the story or reinforces life application --is the same MISTAKE made by traditional curriculum which stick a "craft" project into a lesson where the craft and materials are at best, tangential, to the story's meaning. The activity/project should be designed in such a way so that it teaches/reflects on the central WORD or Good News or life application of the story. While renovating this thread, we have archived the following project suggestions made in response to a member's question, "Help I need carpentry projects for the Boyhood of Jesus rotation!" See the "Building a House" post below for some new details and thoughts. We made a simple wood box with a "slide on top". We asked men from the congregation to lead the project and fathers or moms to participate with their children. Our focus was how parents teach children just as Joseph taught Jesus. We follow up by adding something to the box from each lesson group, so it becomes a remembrance box. Even when we interrupted lessons to deal with the 9-11 tragedy, the leaders & parents requested extra days to finish this project properly! It has been a wonderful learning center for us. I was speaking with an artist friend, Will Christine, who works with pre-K kids on art projects. He suggested this woodworking project: candle holders: have kids saw off a sections of a 2x4, drill a hole partway in (possible using bit and auger non-power drills) sand rough edges. Chris18Rotation.org Guru (300+ pts) a Supporting Member! Students will create a simple wire art project while discussing what the life of Jesus may have been like while he was a boy. Give each child a board and a piece of sandpaper. Have them start sanding the edges while you introduce the story. The amount of sanding is unimportant- its more symbolic as part of the process. What are some of the things you have to do because your mom & dad tell you to? Do you think Jesus had fun as a boy? What kind of things do you think He did for fun? What kind of things do you think He had to do for His mother and earthly father, Joseph? Joseph worked as a carpenter. What does a carpenter do? Many times a boy would learn the work of his father as he grew up. Sometimes, people still learn the work of their fathers today. 3rd grade and up: Have the students find Luke 2:41 in their Bibles. Read through the story. You may read from a children's bible for the younger classes. Do any of you help your moms or your dads around the house? What kinds of things do you help them with? Do you think Jesus would have helped Joseph with his carpentry work? We are going to pretend we are working in a carpentry shop. While we are working, we are going to talk about some things from our story. Have them select nails or screws (they could do some of each if they want). For screws, they should use a hammer and awl to pound a pilot hole. For nails, someone should hold the nail with a long nose pliers while the child hammers. They should put a nail or screw at each of the 5 marks. Older children may put additional nails/ screws on the circle midway between the marks, so they'd have 10 total. Once the nails or screws are in place, wrap a wire around one of the screws. Wrap it around other screws to form a star shape. (Where do we see a star in Jesus' life? Over the stable where he was born.) Wrap the wire tightly around the final screw, which should be the same one you started on. Do you ever help your parents do things? Do some of you help your parents with things involving their job? What kind of things have your parents taught you? What kind of things do you think Joseph taught Jesus? Is there anything you have taught your parents? Or anything that you can do better than them? In our story Jesus showed that he knew alot about God and about the bible. We can see here a hint of the kind of things Jesus would do when he grows up. Do you think some of the things you enjoy now are hints to what you'll do when you grow up? Have the students help clean up. They can take their projects home. Make sure everyone takes home the right tools. Read the key verse from the blackboard. Get some ideas about what characteristics this might be talking about. Joseph the Carpenter undoubtedly taught his son how to work wood. Was it houses or furniture or fences, chicken coops and farm implements? We don't know. Perhaps all of the above. Jesus called The Temple "My Father's House"
"House" in Hebrew can mean dynasty or something like family. Jesus was among his family, even though he was separated from his parents who had left him behind. Jesus at age 12 was taking part in the celebrations, worship, and LEARNING that characterize God's family, God's "house." Isn't it interesting that his father was a carpenter, then! What did Jesus build? He once said, "tear it down and in three days I will build it up." (John 2:19). What does Jesus tear down and build up? Jesus doesn't build with sticks and stones. Rather, Jesus was talking about the other kind of Temple.... the people of God, --or what we call the Body of Christ. What is THAT built out of? By making a bird house, we are basically creating an "object lesson" ---creating a prop (an objection) that represents the ideas we are teaching. But the process of creating it right, and perhaps creating it wrong to demonstrate some points about "building" are also part of the object's lesson. Thus, the birdhouse becomes a reminder. Unless the LORD Builds the House - those who build it labor in vain. And as Jesus noted, where and HOW you build that house is important. What kind of "house" does Jesus the Carpenter want to build? What kind of "tools" do Christian use? Did Jesus use? Examples of "how not to build a relationship with Jesus." What are the instructions? Blueprint. How to build a strong house. How does "The Lord build"? What is "the house" that the Lord wants to build? "House" can mean family/dynasty. Ready to Assemble Bird House Kids are plentiful online. Shop around as some are quite inexpensive. I might bring a drill to drill more than one size hole in my bird house. Why? To visually demonstrate that God's family is made up of different kinds of "birds." Matthew 6:25-34 “Therefore I tell you, do not worry about your life, what you will eat or what you will drink, or about your body, what you will wear. Is not life more than food, and the body more than clothing? Look at the birds of the air; they neither sow nor reap nor gather into barns, and yet your heavenly Father feeds them. Are you not of more value than they? Matthew 13:32 Mustard Seed grows into the Kingdom of God which gives birds a place to nest. The Writing Team's Lesson Set: "Jesus the Boy Who Went to the Temple"
In addition to our public lesson forums, our Writing Team has written a special lesson set titled, "Jesus the Boy Who Went to the Temple" for our supporting members. All are welcome to read the lesson plan summaries and the Bible background for this "WT" set. 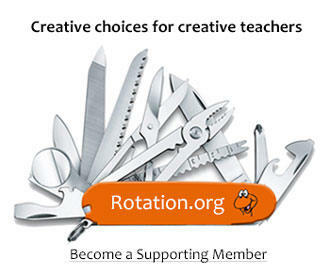 Become a Supporting Member to see these creative lessons.